Somewhere out there is a person who has decided to climb Mount Everest in 2017. That is literally and figuratively a very lofty goal. Although you would probably wish them well this is not the kind of task that everyone can undertake. It probably makes better sense to stay focused on projects that are easy to achieve without any effort. Something like clearing the clutter of your home would be a perfect example. You might think that sounds like a job that involves a lot of effort but it doesn’t if you hire Junk King Sarasota from the start. The reason for hiring Junk King Sarasota to clear clutter would be because what you have can’t be thrown out in the weekly garbage pickup. If so, then you would have already done it. We’re talking about the kinds of things that need a truck and moving crew to take care of. Items like a mattress, baby crib, entertainment center, old television, broken washing machine or spare tires. These are the things that definitely have to be put onto a truck and dropped off at a responsible disposal center. This is what Junk King Sarasota is standing by to help with. The help that they provide comes in the form of two strong movers and a big truck. That’s the formula that results in a clearing of any amount of clutter from your home. You might want to get rid of a dozen boxes of rubbish or an entire room full of furniture. It makes no difference to the crew from Junk King Sarasota what you want to get rid of. Their only focus is to make sure you’re happy and to pack up that stuff onto the truck as tightly as possible. The less space they use, the more room though have for the next customer. It also means you’ll be paying the lesser amount on the price scale. Junk King Sarasota always charges by volume. With regard to the drop off, you’ll find that Junk King Sarasota will go the extra mile (again literally and figuratively) to drop your items off at a charity or recycling facility. 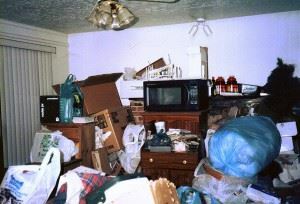 Getting rid of your oversize clutter has never been easier than hiring Junk King Sarasota for the job. This entry was posted in junk removal on December 31, 2016 by Tomas Jasek. Last updated August 15, 2017 .